Yolkboy travels to WorldCon (LonCon) to report on GRRM’s latest reading. Extensive notes were taken, and are presented here, of ‘Sons of the Dragon’ from the fake history book ‘Fire & Blood’. There’s an interview with Elio & Linda, owners of Westeros.org forum and wiki and co-authors of GRRM’s new book ‘The World of Ice and Fire’. Yolkboy also meets Ser Mountain Goat, founding organiser of TitanCon and the animated ASoIaF timeline project. Finally an interview with X-Ray, baroness of GRRM fangroup the ‘Brotherhood without Banners’, regarding the organisation and her history with GRRM. Music from the fandom and a lot more! 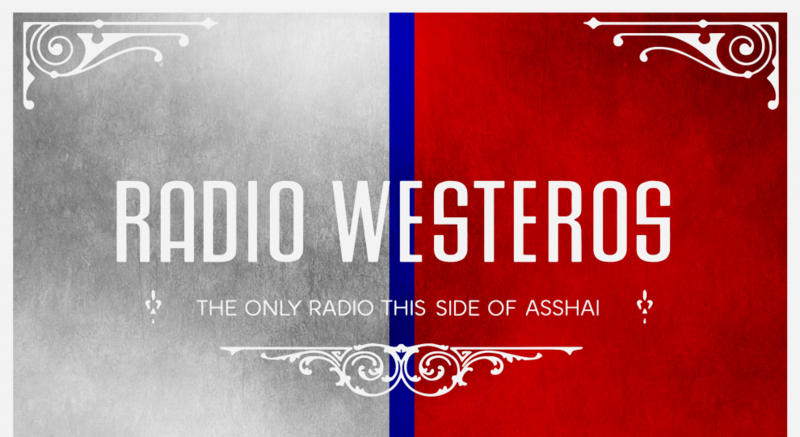 As an Amazon Associate Radio Westeros earns from your qualifying purchases. Thanks for your support! Enter your email address to follow us and receive notifications of new episodes by email.